Privately owned medical practice, Perlman Clinic, offers scholarship to help offset the high cost of education and offer guidance to healthcare students. A prestigious, privately owned and operated medical clinic in California recently announced the launch of their new healthcare scholarship program, enabling students pursuing a career in the healthcare industry an opportunity to reduce the high costs associated with obtaining a college degree. Perlman Clinic, headquartered in La Jolla, California is well-known throughout the region for providing high quality primary and urgent care medical services throughout the La Jolla, Hillcrest, and Clairemont areas. $500 can go a long way for a college student. 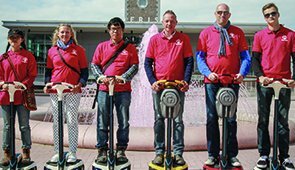 “They can use it to help pay for books, tuition, and other education-related necessities,” says Dr. Perlman. “Applicants must be currently enrolled in either a university or community college to qualify for the scholarship,” Dr. Perlman says. Additionally, students must be at least 18 years old or older, pursuing a healthcare-related degree, and maintain a 3.2 GPA or greater to apply. Part of the application process includes a short essay, which can be about any medical or health related subject. Essays must be at least 600 words long. Perlman Clinic must receive all applications and essays no later than December 31, 2016. Additional information about the Perlman Clinic Scholarship Fund is available on the clinic’s website,https://perlmanclinic.com/scholarship or at one of the firm’s three offices, located in La Jolla, Hillcrest, and Clairemont. 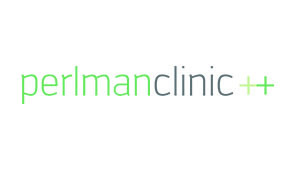 Founded in 2005 by Dr. Monica Perlman, Perlman Clinic has grown from a single physician practice to a multi-provider practice with three locations. The clinic focuses on providing quality healthcare to their patients effectively and efficiently while embracing technological advances in the medical field.